Sacculus: The Wargame was my third complete game. 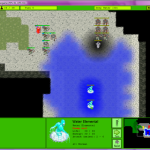 It’s a 2D turn-based strategy. 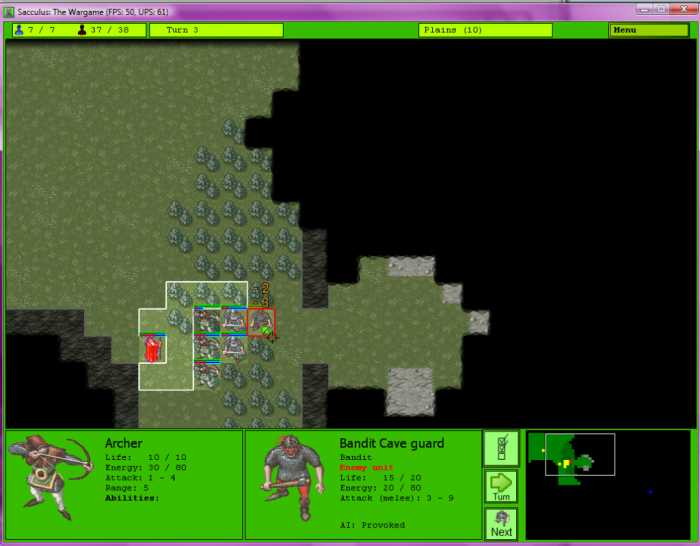 In each level, the player moves warriors across a square-tiled map, explores territory and fights enemies. 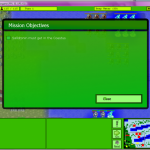 I believe this is my largest and most complex game to date. 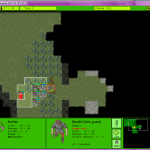 There was a large amount of units and actions the player could perform and the game was affected by various terrain tiles. The game’s story is based on the plot of the first book I wrote (Sacculus). It the first game I programmed in C#. I used the XNA 3.1 framework. 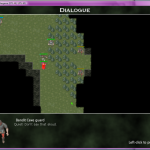 The game was created at the age of 17, in 2010. 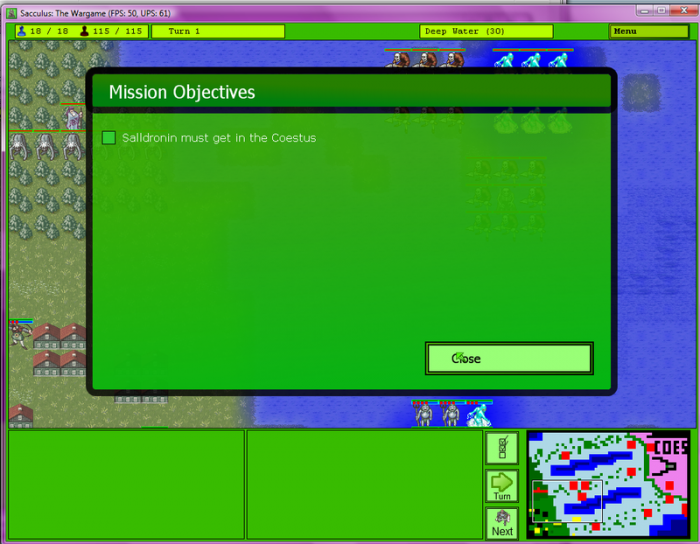 Objectives display for the penultimate level. The active unit, archer, does not have a lot of movement points left. 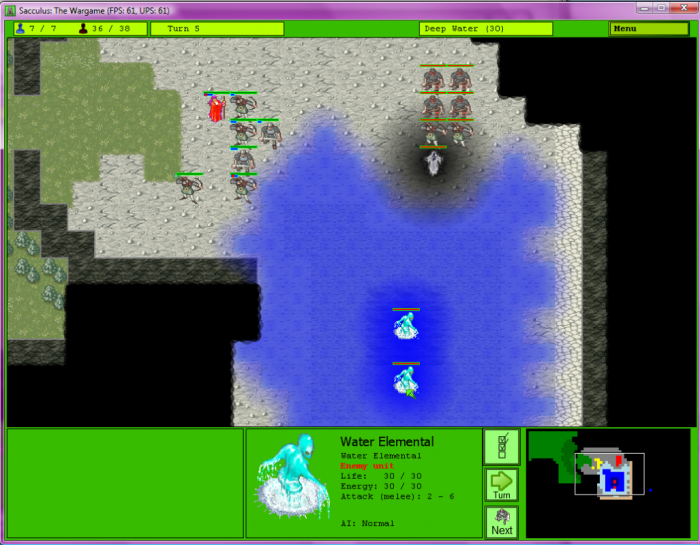 The player’s squad entered a cave where it must battle bandits, a ghost and some water elementals. 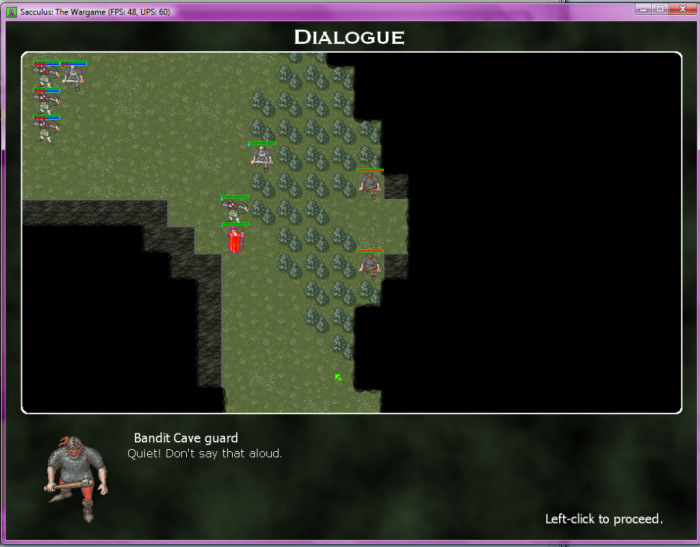 A dialogue interrupts the action. The spheres atop the mountain of Sacculus have been stolen. An evil known as The Wizard Dead plans to use their energy to destroy the world. As a general of the army of Loenia, a free country adjacent to the Coestus where The Wizard Dead lives, you must do all you can to stop his invasion. You begin by defending a small village from a surprise attack. But then, when you investigate, you discover a sinister conspiracy that will lead you across the continent while you search for a way to defeat The Wizard Dead once and for all.